Ships today if you order in the next 9 hours 13 minutes. When it comes to dealing with seasonal airborne irritants, adults aren't the only ones who suffer with common symptoms like congestion, sneezing, and coughing. Kids of all ages may be affected as well, which can interrupt their daily life and leave negative effects on overall health and wellness. 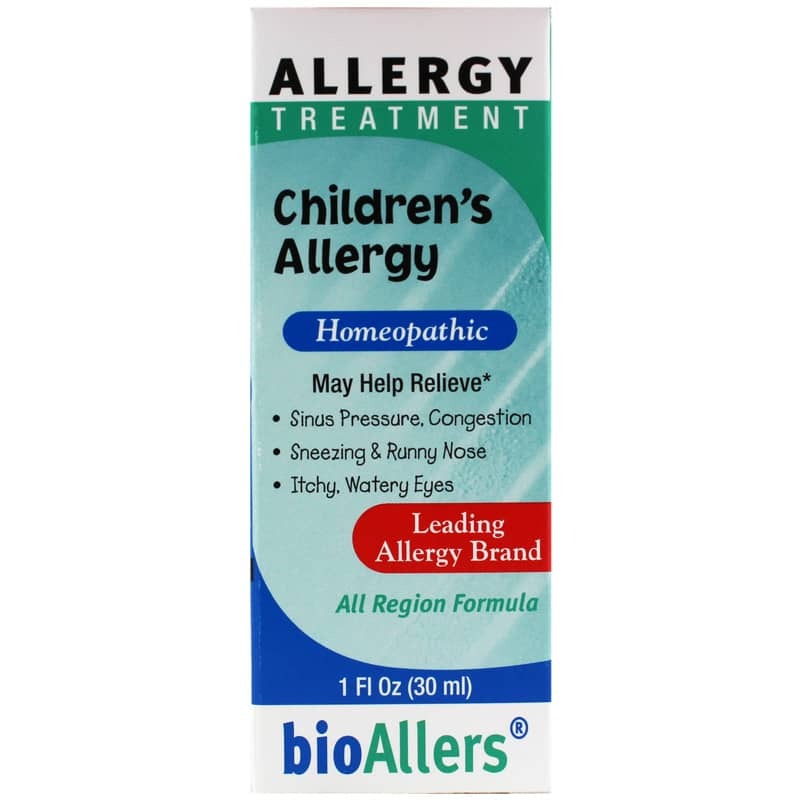 Children's Allergy is a homeopathic liquid product from BioAllers that contains ingredients to help your child find temporary relief from the most common symptoms of seasonal illnesses. BioAllers's Children's Allergy comes in a convenient liquid form that is suitable for children who are four months and older. 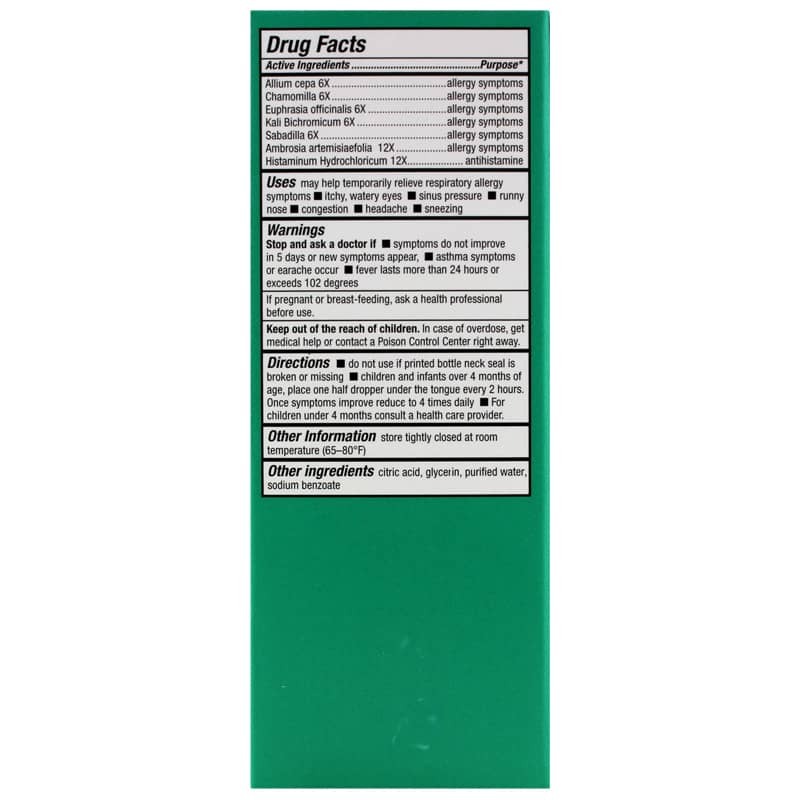 One half dropperful under the tongue every two hours is recommended use, then once symptoms begin to improve, reduce to only using four times every day. Help your child feel better the all-natural way. Order Children's Allergy today! Other Ingredients: citric acid, glycerin, purified water, sodium benzoate. Children and infants over 4 months of age: Place one half dropper under the tongue every 2 hours. Once symptoms improve reduce to 4 times daily. For children under 4 months: consult a healthcare provider. Stop and ask a doctor if symptoms do not improve in 5 days or new symptoms appear, asthma symptoms or earache occur, fever lasts more than 24 hours or exceeds 102 degrees. If you are pregnant or nursing, please consult your healthcare professional before using this product. Keep out of the reach of children.